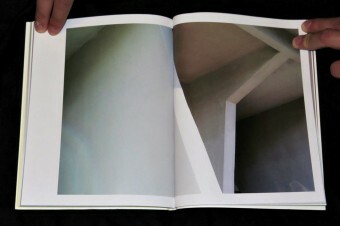 Faraway, So Close. 25th Biennial of Design, Ljubljana. 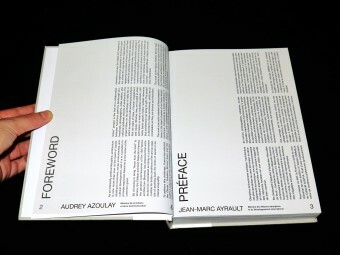 Angela Rui, Maja Vardjan (eds.). 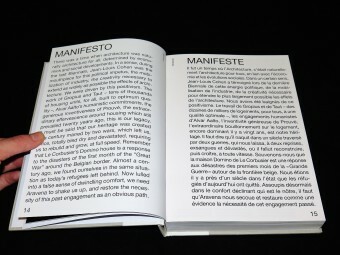 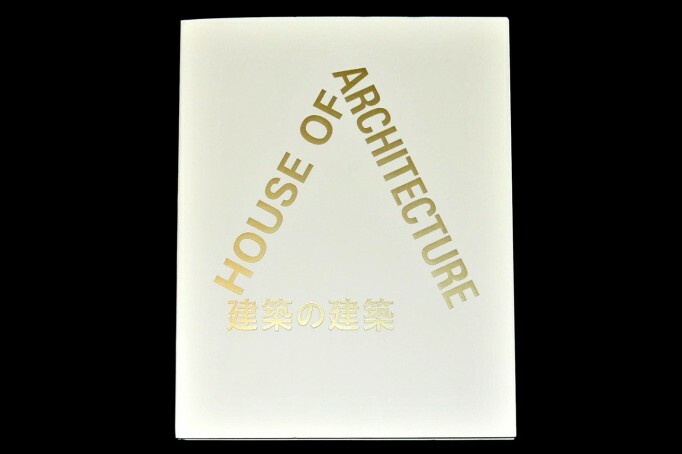 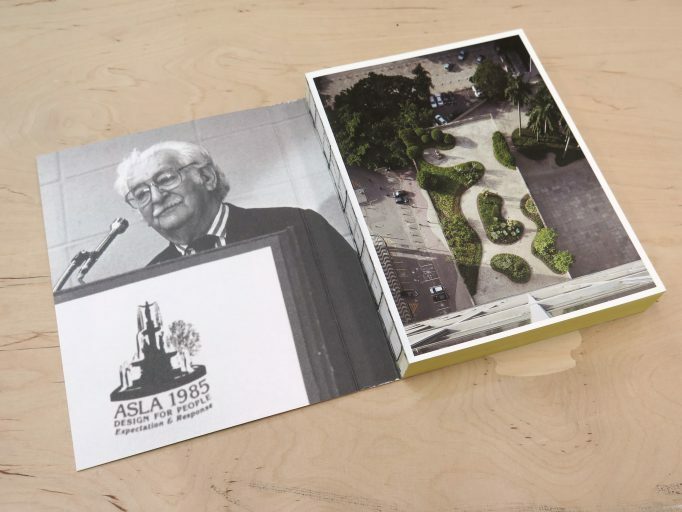 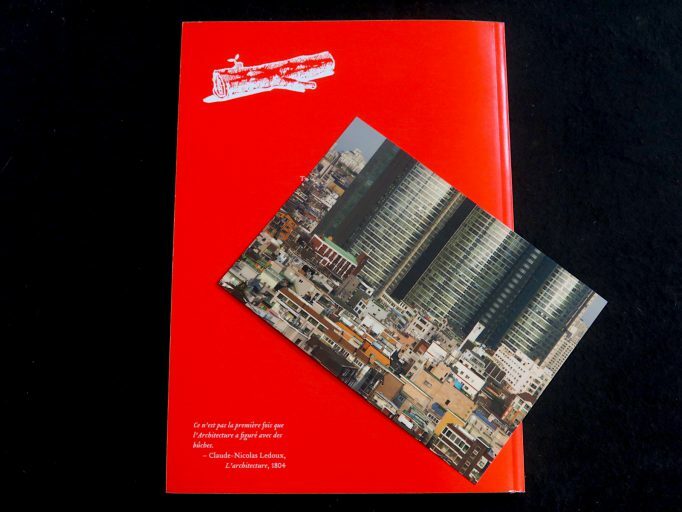 Museum of Architecture and Design & Motto Books. 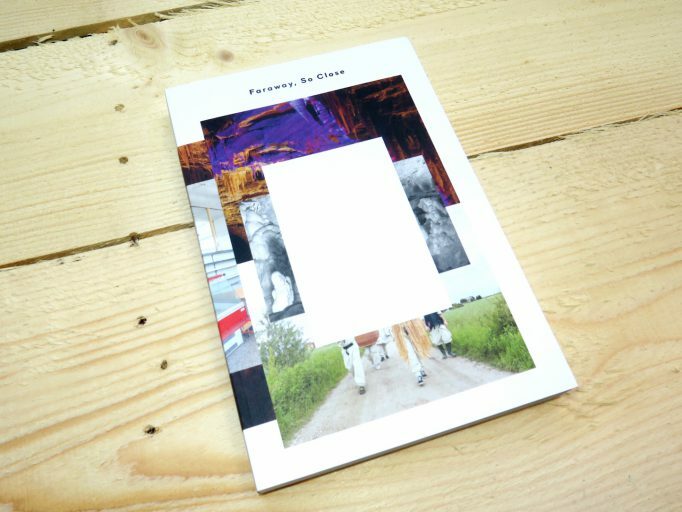 Faraway, So Close presents seven investigations through the concept of time – time as a key with which to identify new patterns that can connect design with the phenomenological world and the myriad consequences of such an interrelation. 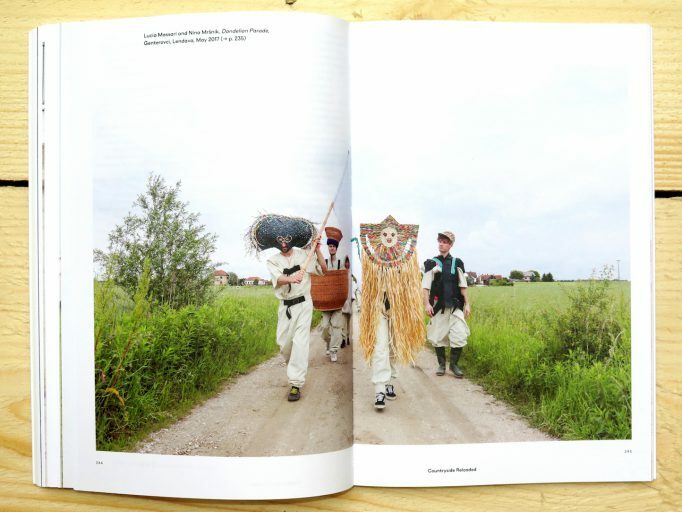 Acting in various dispersed territories across Slovenia, Faraway, So Close seeks out “low-intensity” places in which to test the possibility of changing our notions of economic progress and which could work toward and in the name of such fundamental aspirations as stability, community and a better future. 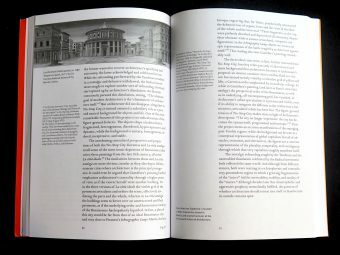 Design is, or at least can be, a vehicle for exploring basic new metaphors. 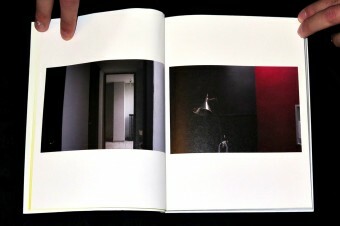 It is a dialogic procedure. 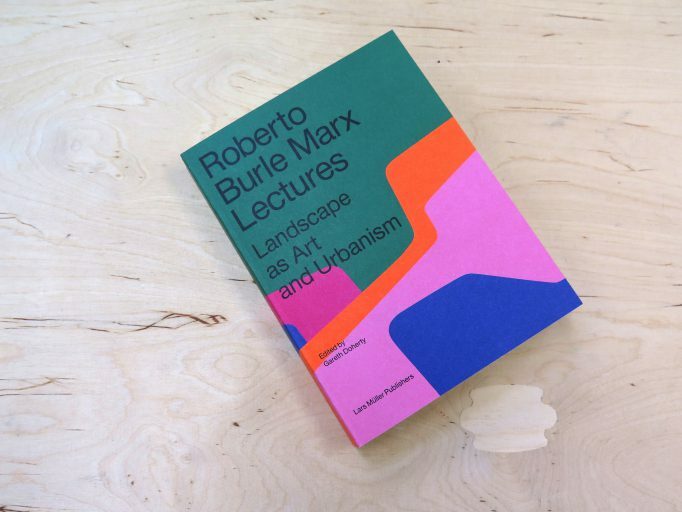 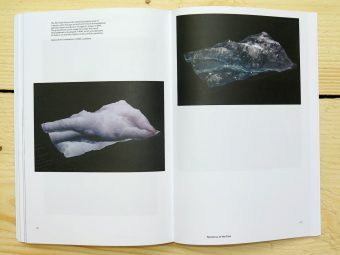 This break from the strictly disciplinary approach of design creates space for an expansive investigation of various interdisciplinary intersections and engagement with a markedly different production of knowledge. 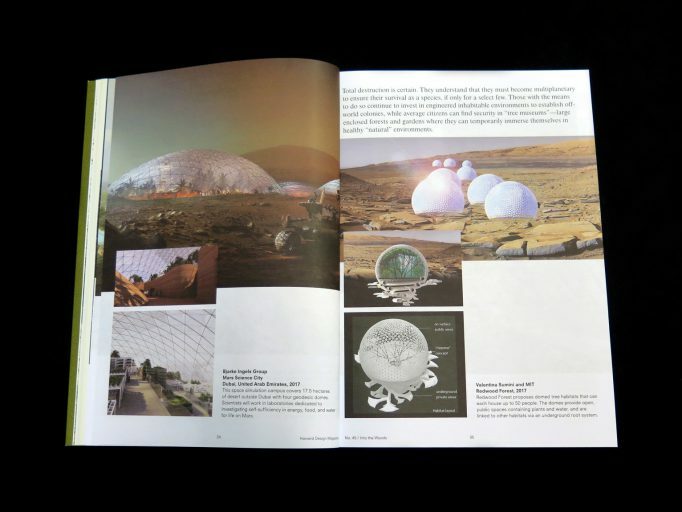 By presenting the seven investigative episodes developed within BIO 25 and their interchange with both local archives and broader paradigms, the book works to explore ways of changing the goals of design culture; of turning away from the urgent need to solve problems and instead opening up new frontiers for observation and experimentation, to look at our inhabited and habitable world for what it is and what it is becoming, and not simply what we think it should, ideally, be. 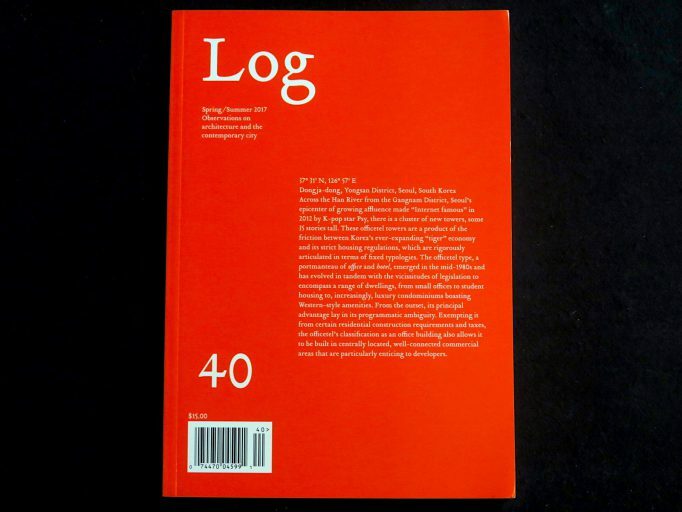 Log 40 assembles a wide-ranging collection of thoughtful essays on some of the most urgent questions and debates in architecture today, bringing them into dialogue with those of architecture’s recent past. 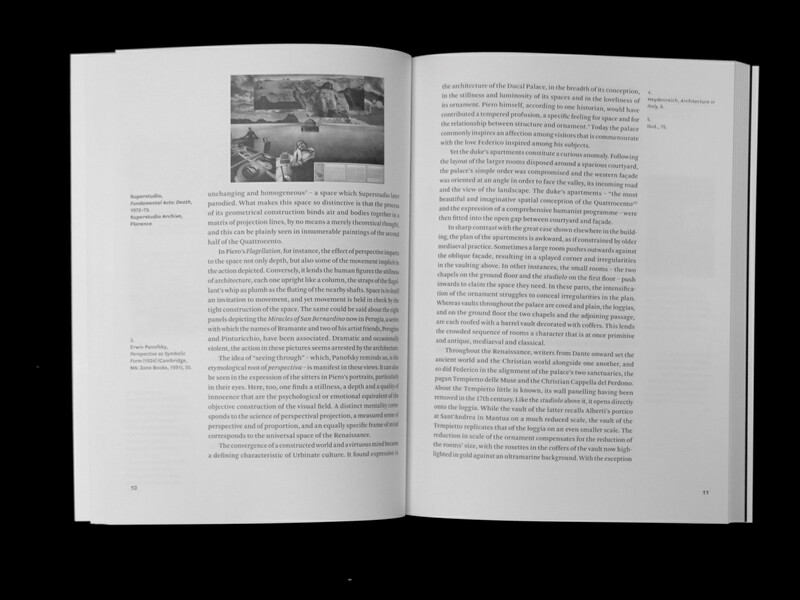 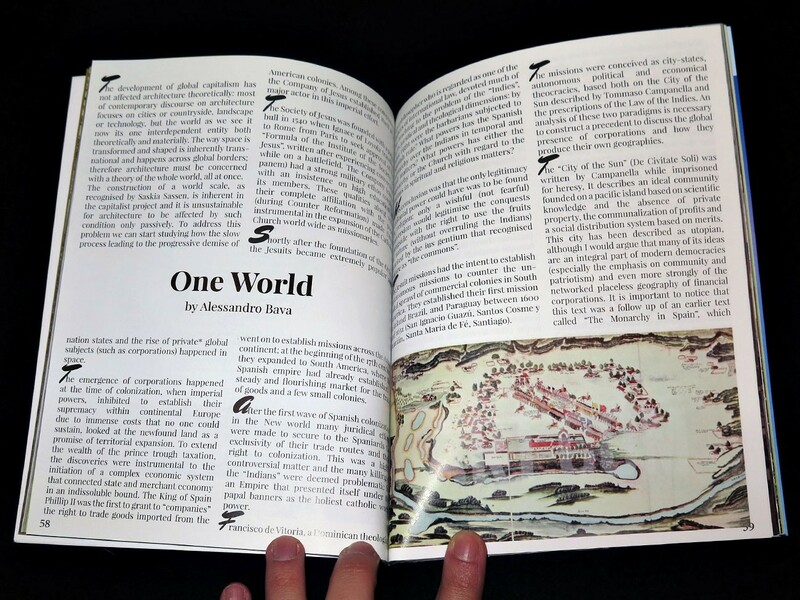 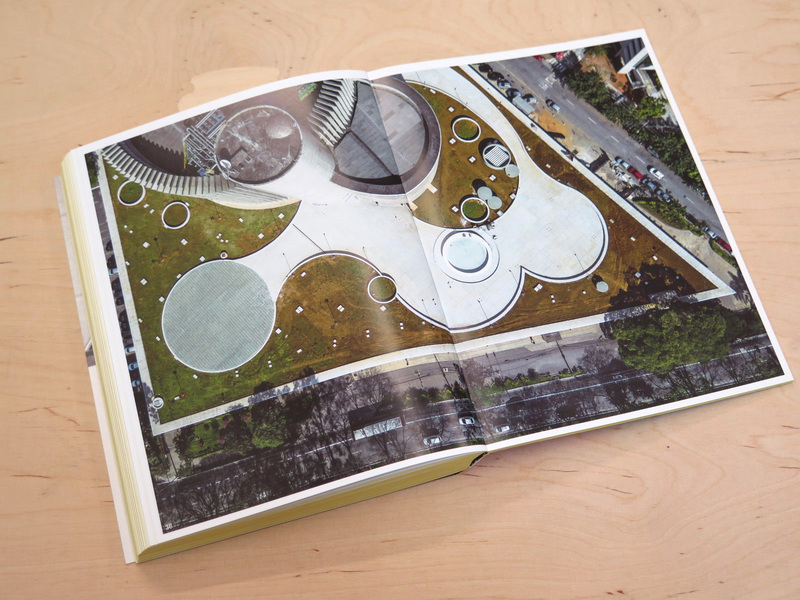 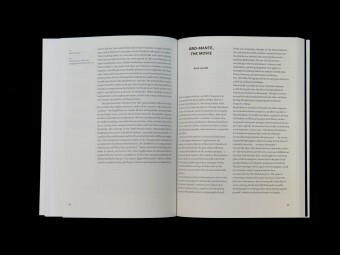 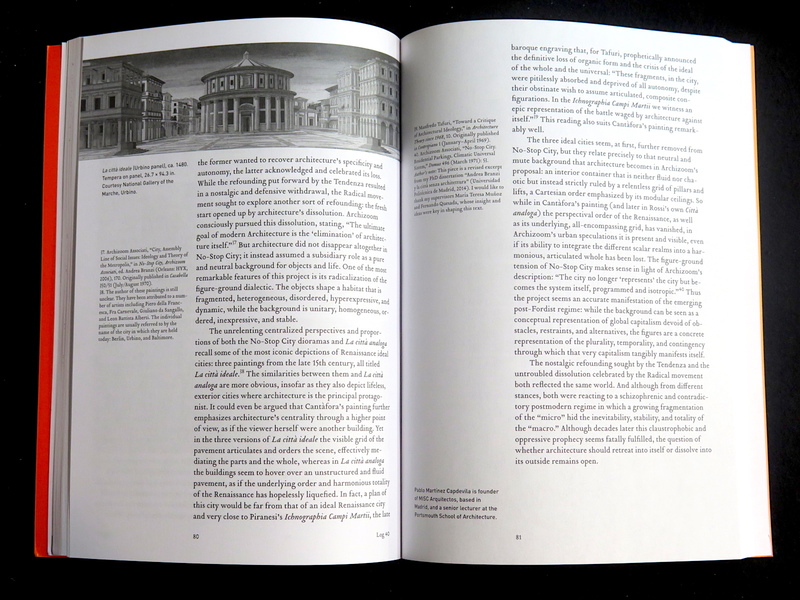 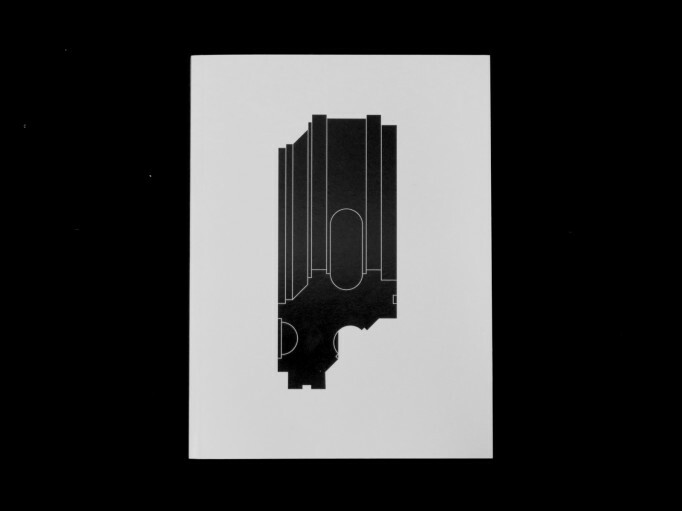 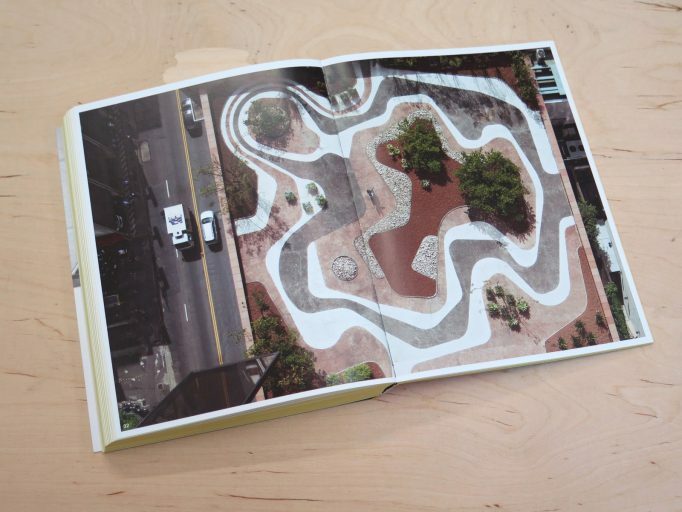 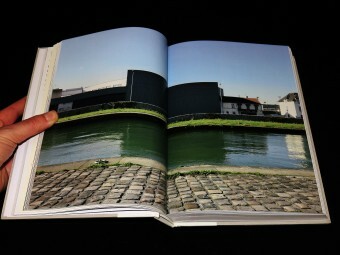 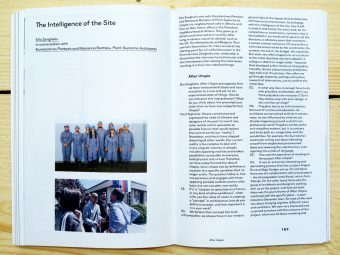 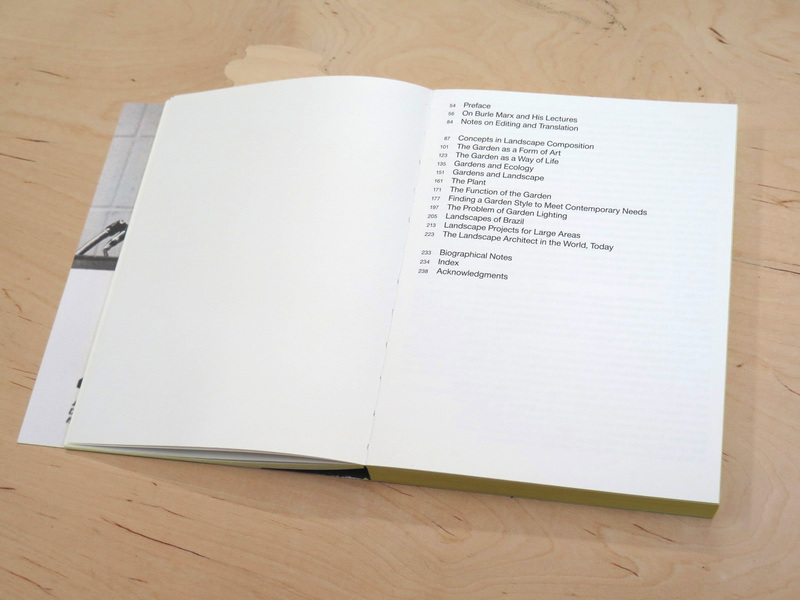 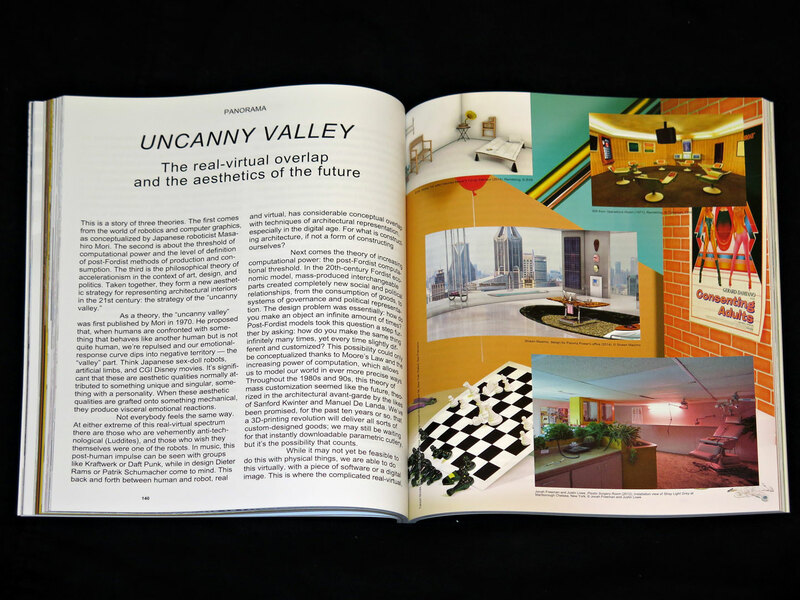 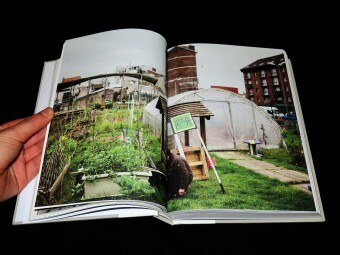 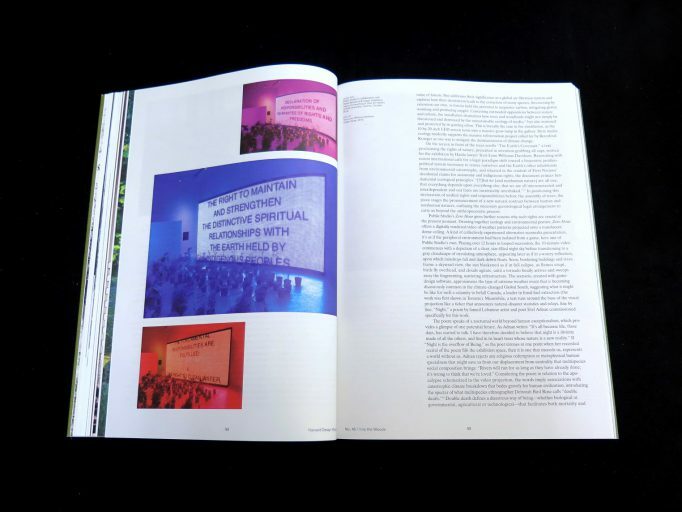 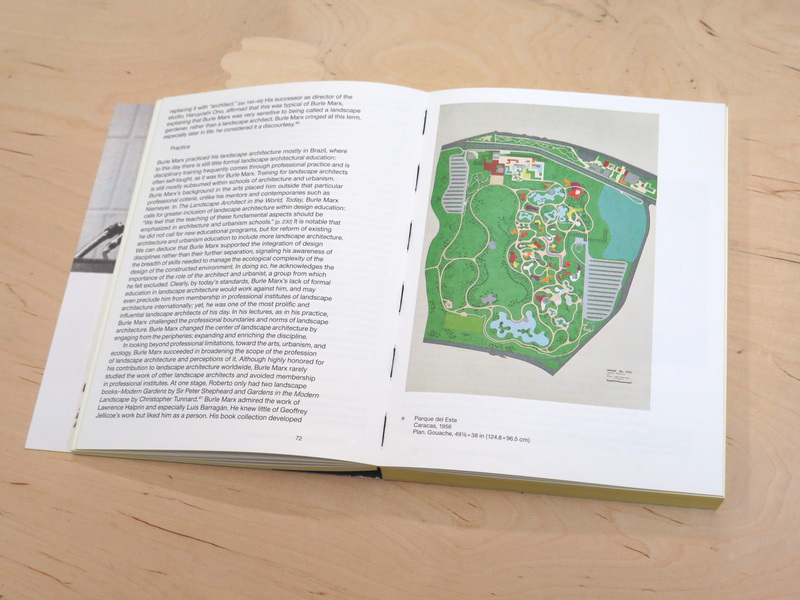 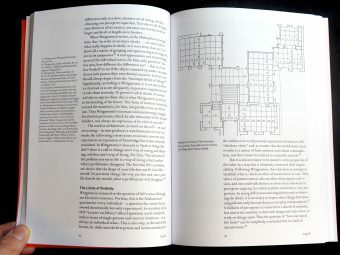 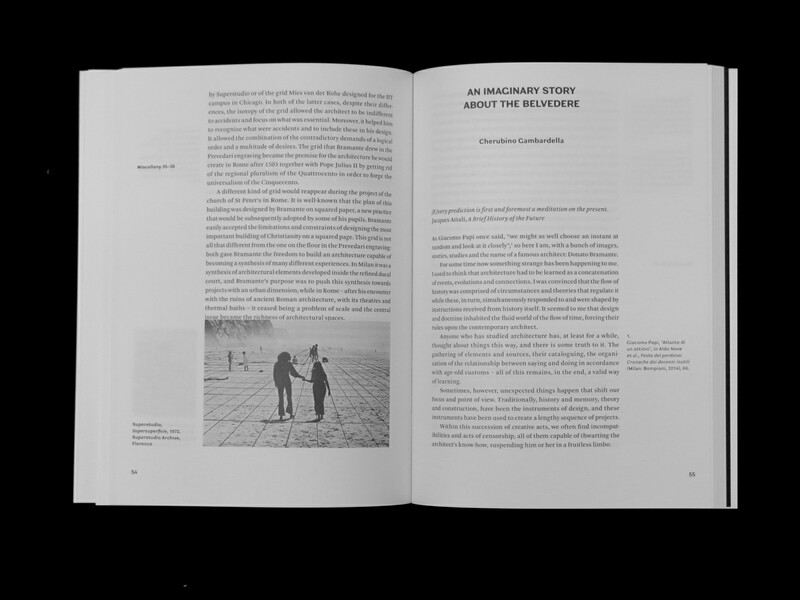 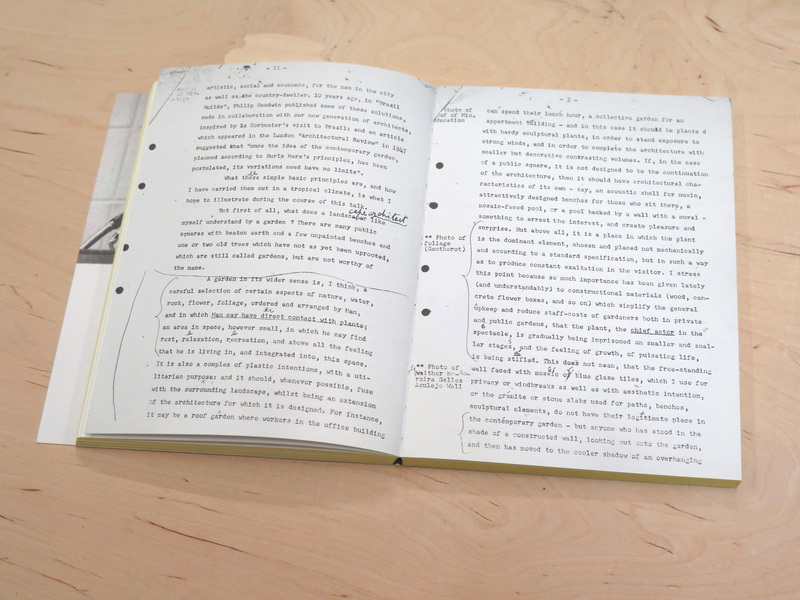 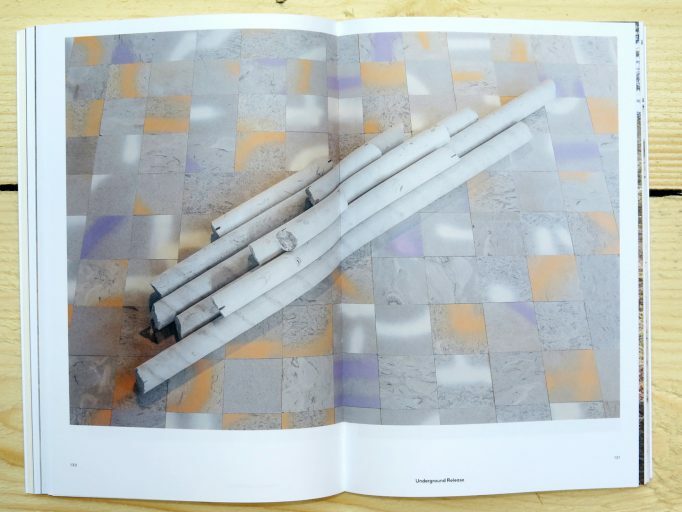 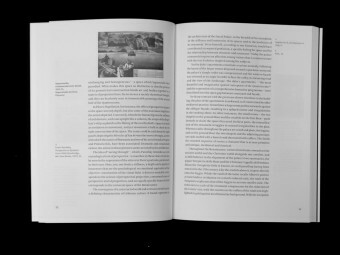 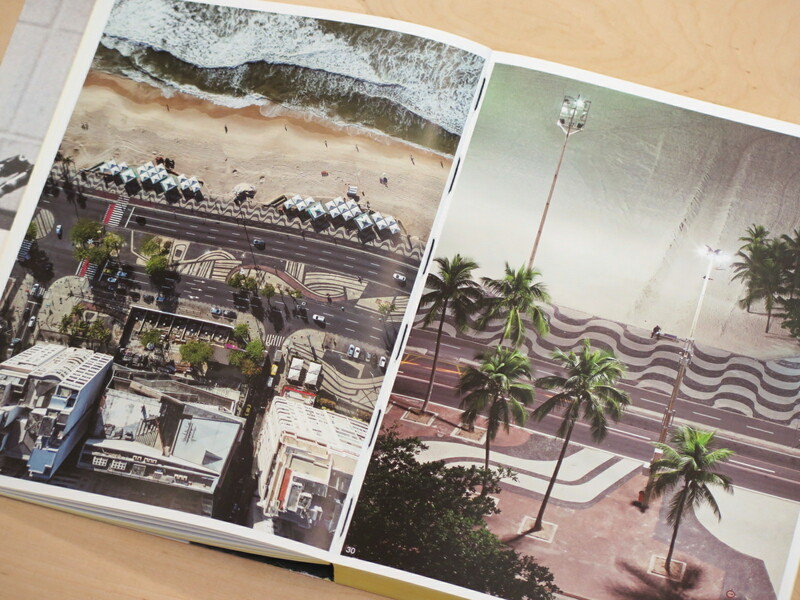 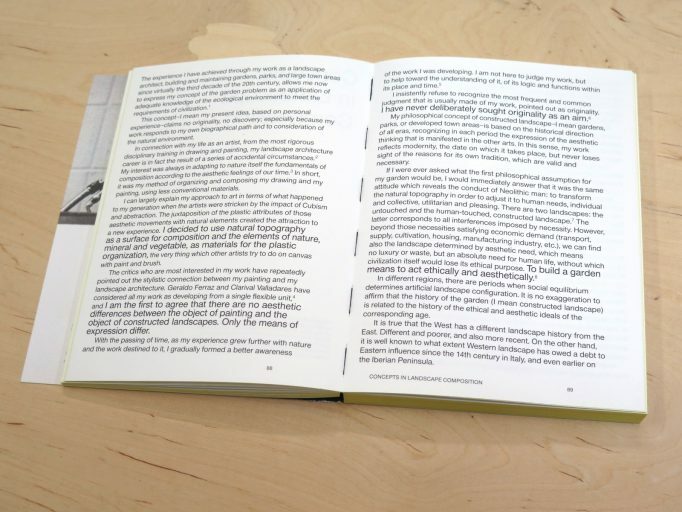 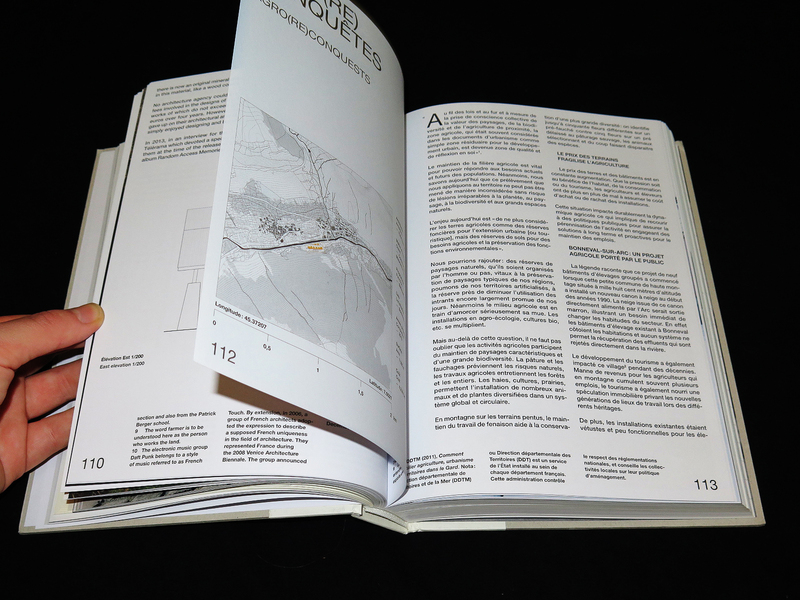 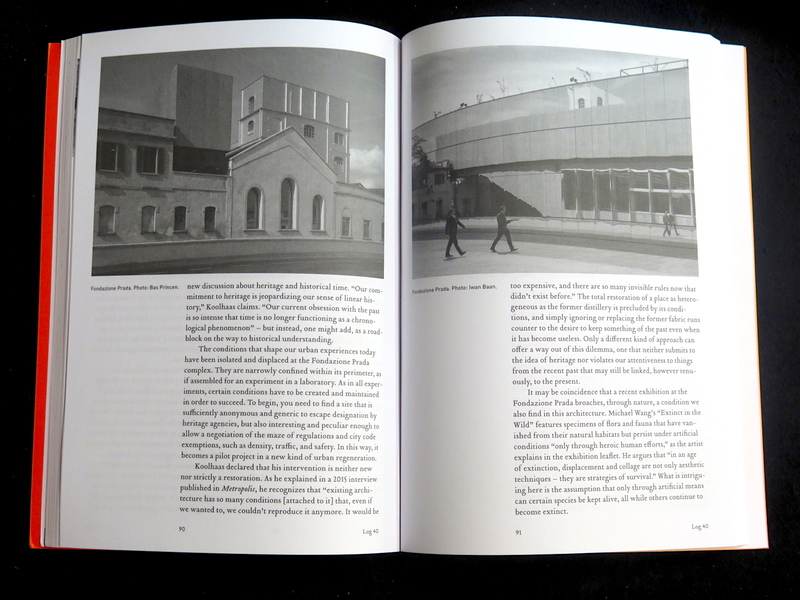 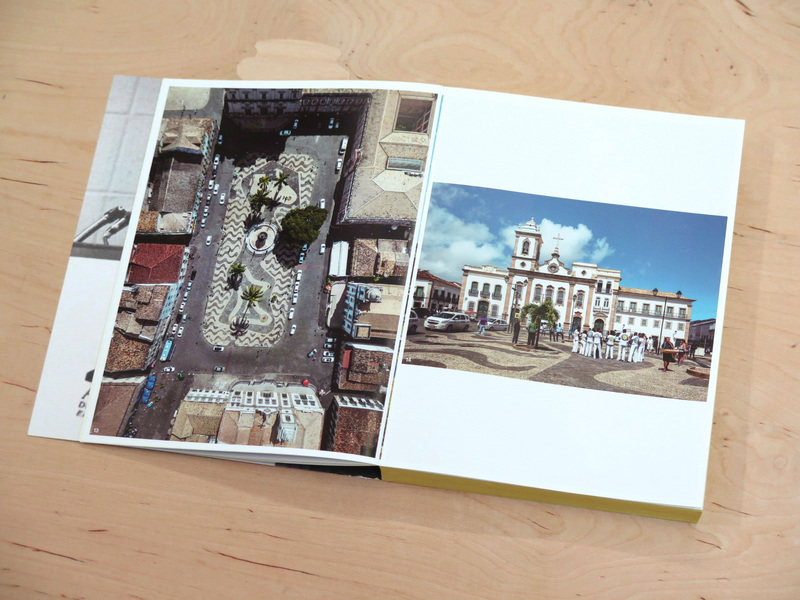 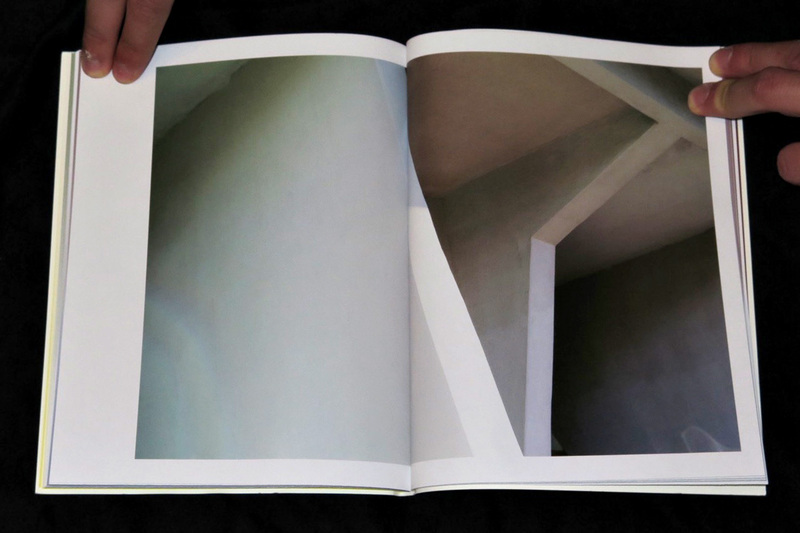 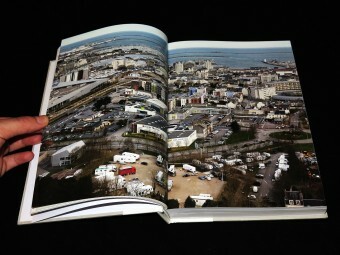 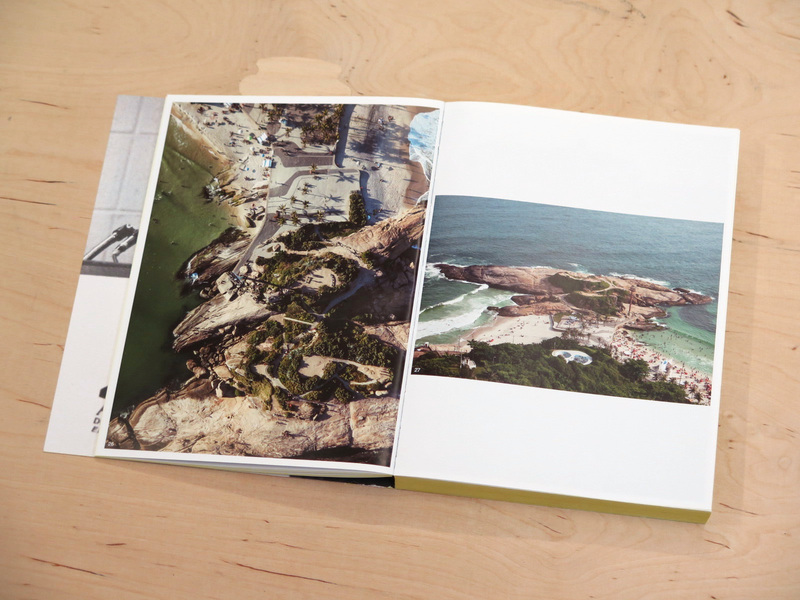 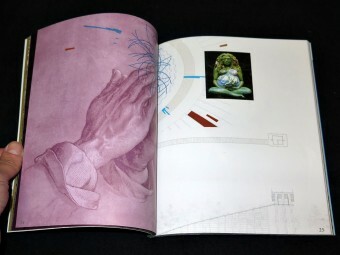 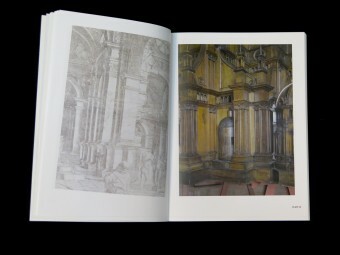 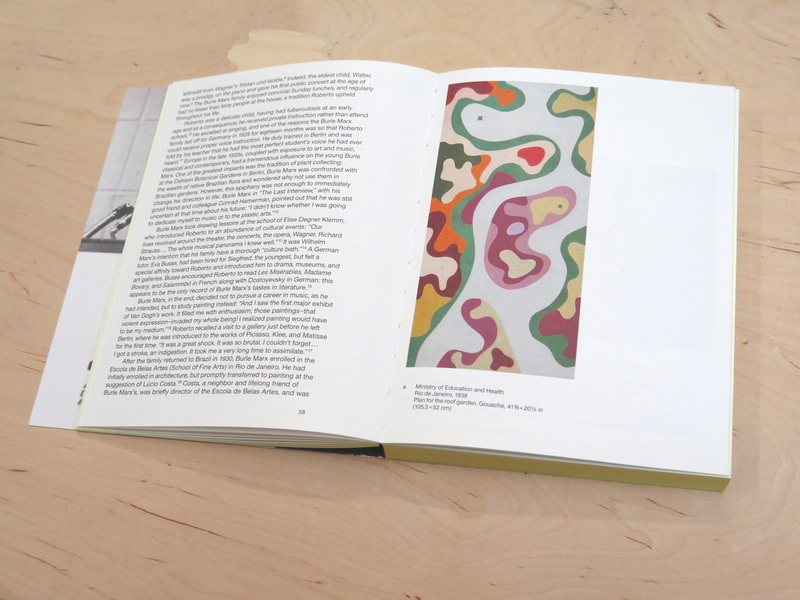 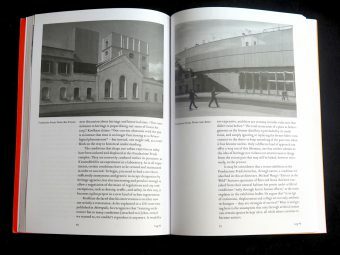 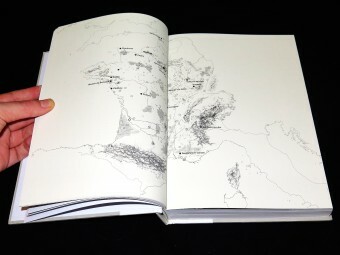 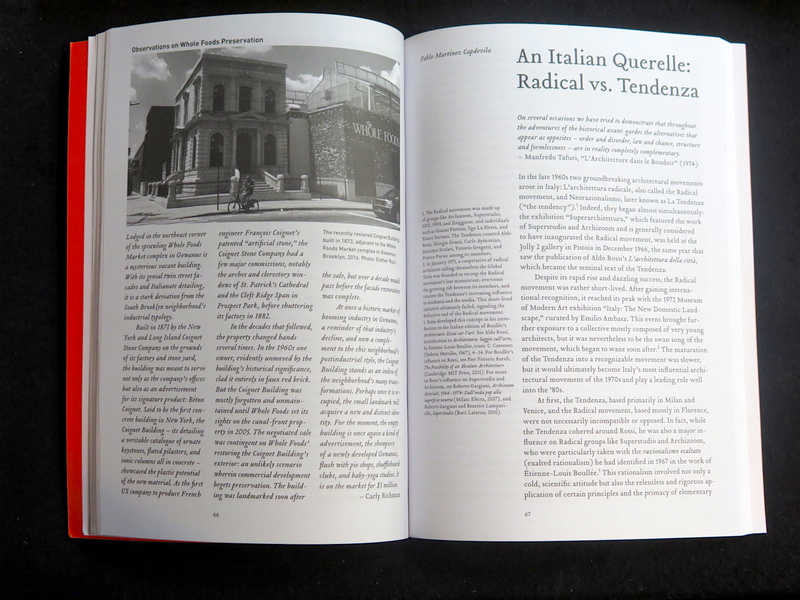 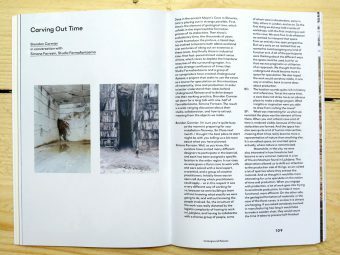 The legacy and current status of architectural images are considered from radically different vantages, in Brett Steele’s anecdotal discourse on Zaha Hadid’s 1983 painting The World (89 Degrees), John May’s exacting dissection of “architecture after imaging,” and Hana Gründler’s exploration of the ethical implications of drawing borderlines. 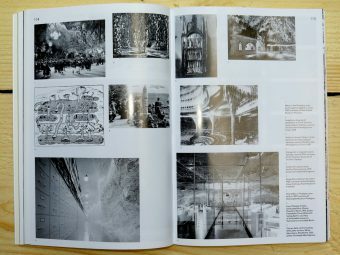 The issue features commentary by two contemporary architects on contemporary buildings: V. Mitch McEwen on David Adjaye’s National Museum of African American History and Culture in Washington, DC, and Elisabetta Terragni on OMA’s Fondazione Prada in Milan. 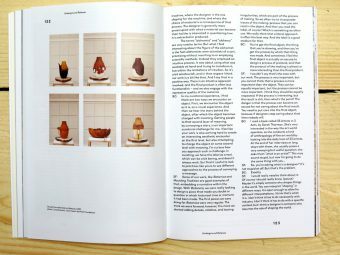 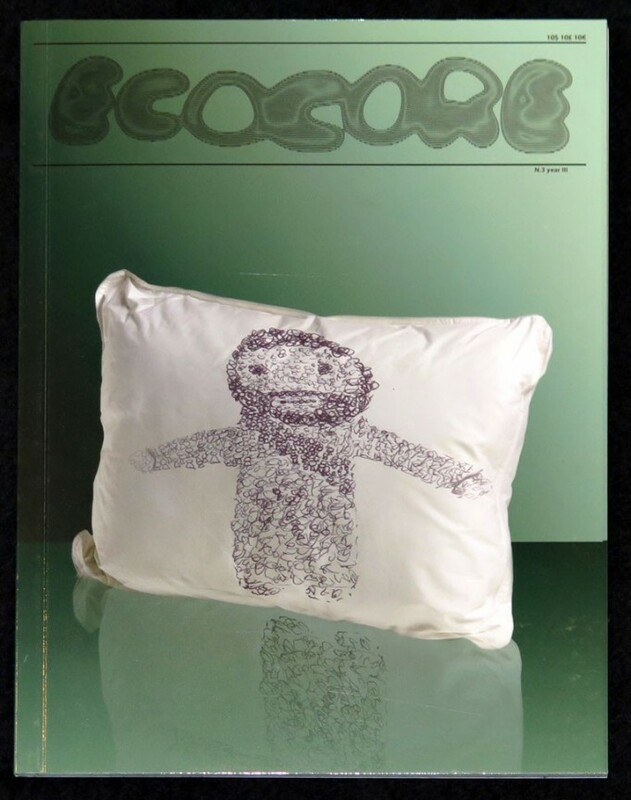 Other highlights include an excerpt from Noah’s Ark, the new collection of Hubert Damisch’s singular writings on architecture; a lively response by Mark Foster Gage to Michael Meredith’s recent Log essay on indifference; and a sampling of new domestic objects designed by architects. 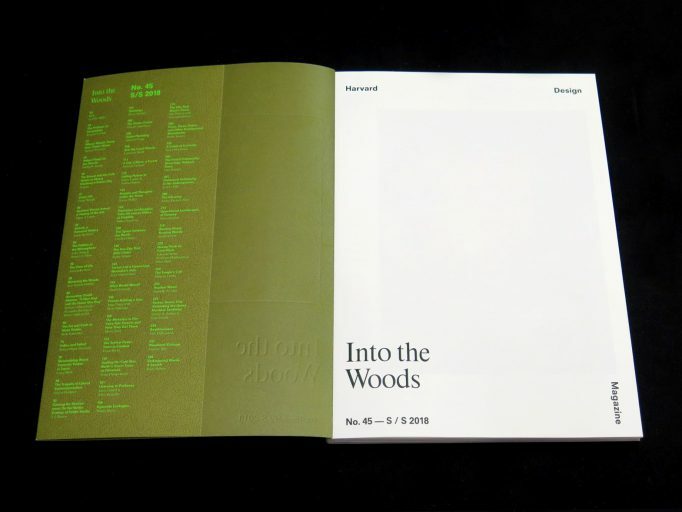 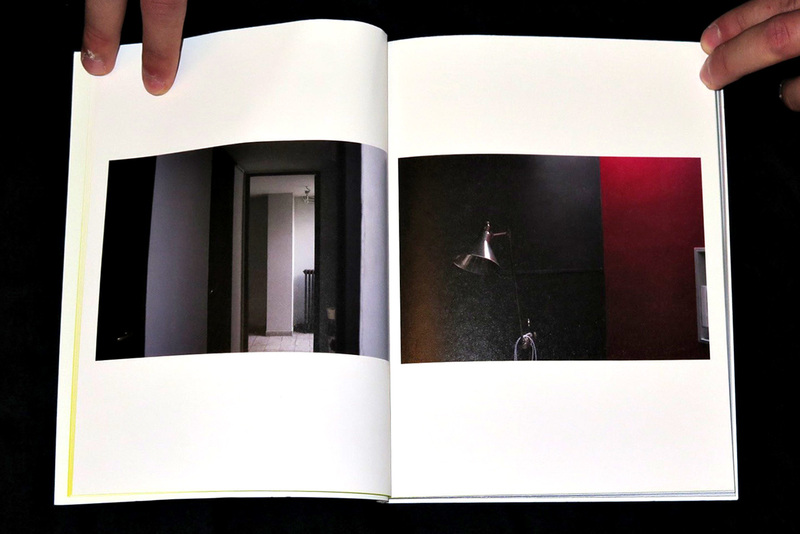 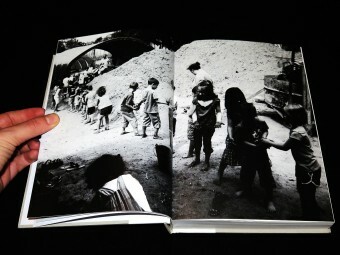 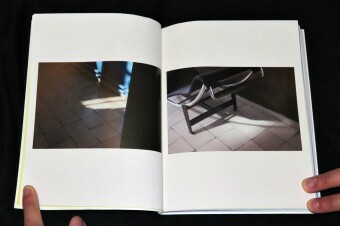 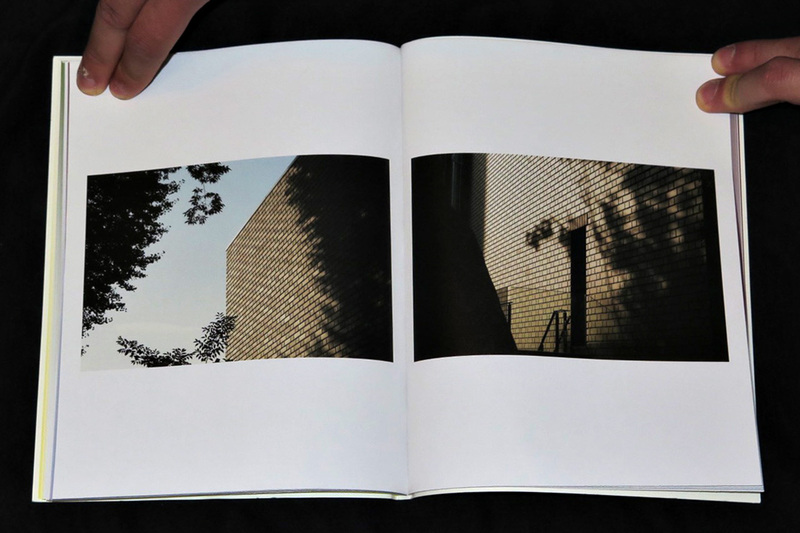 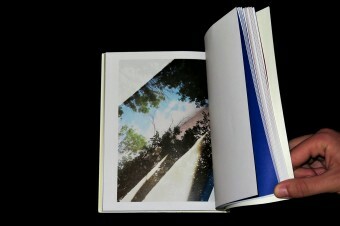 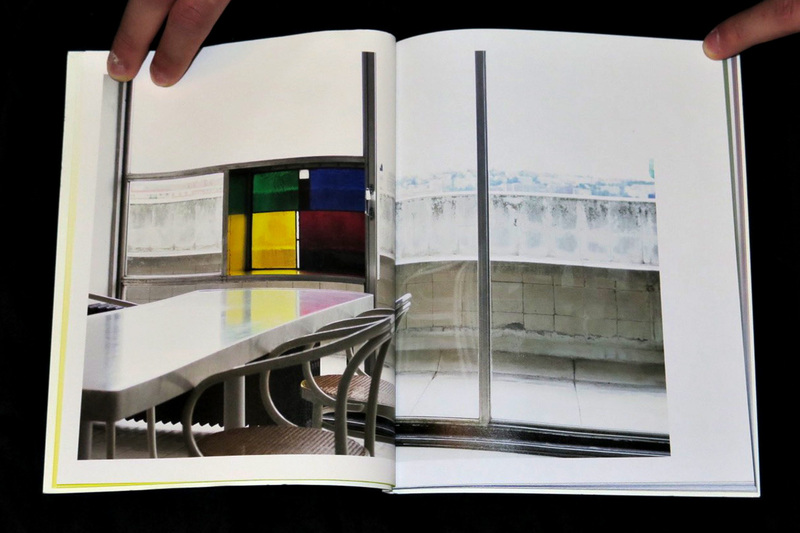 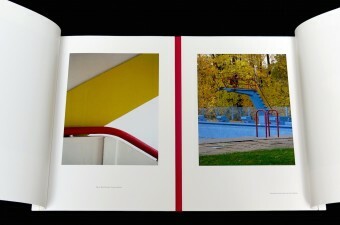 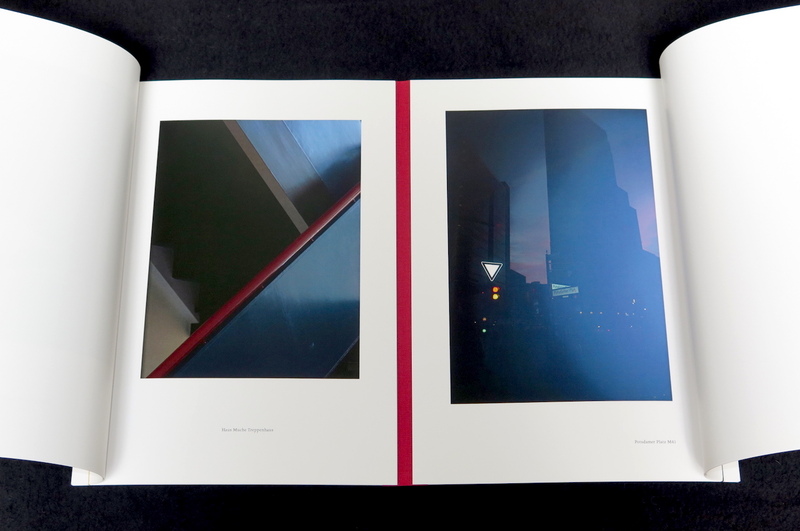 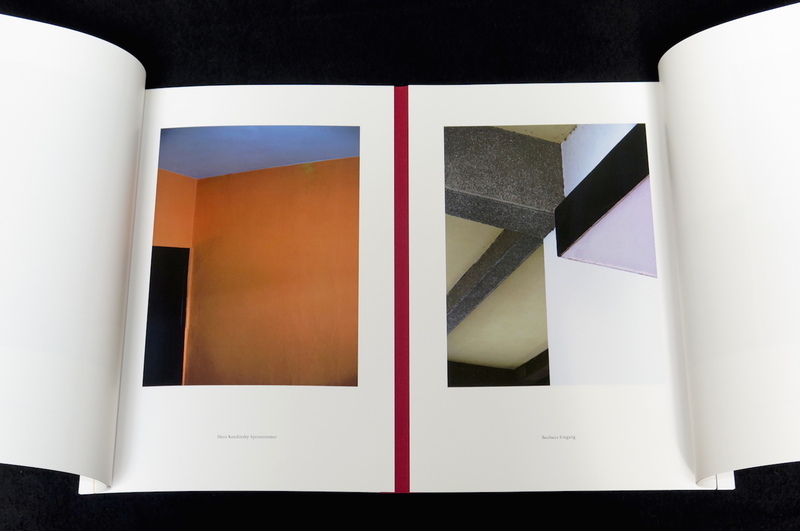 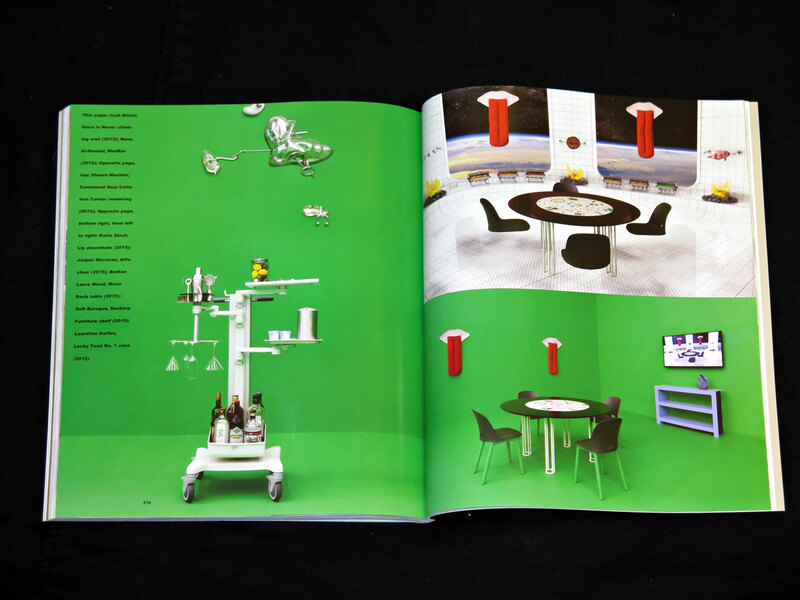 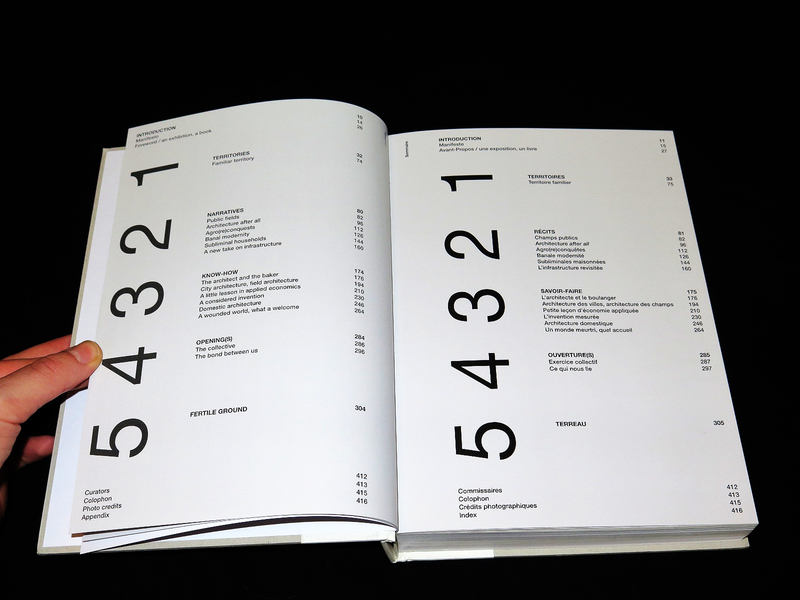 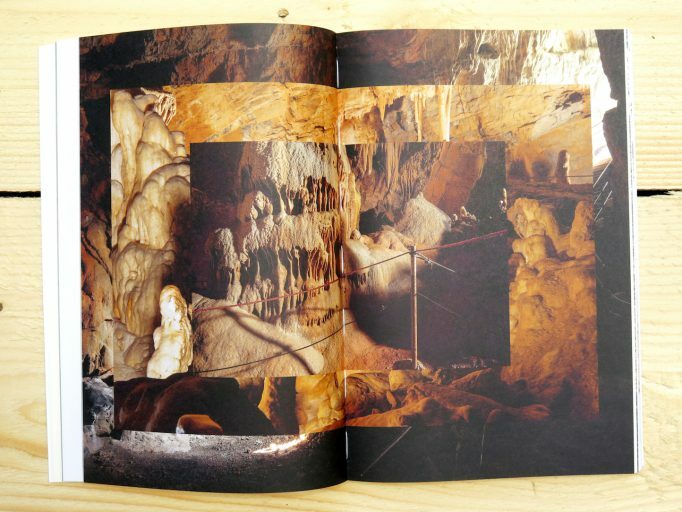 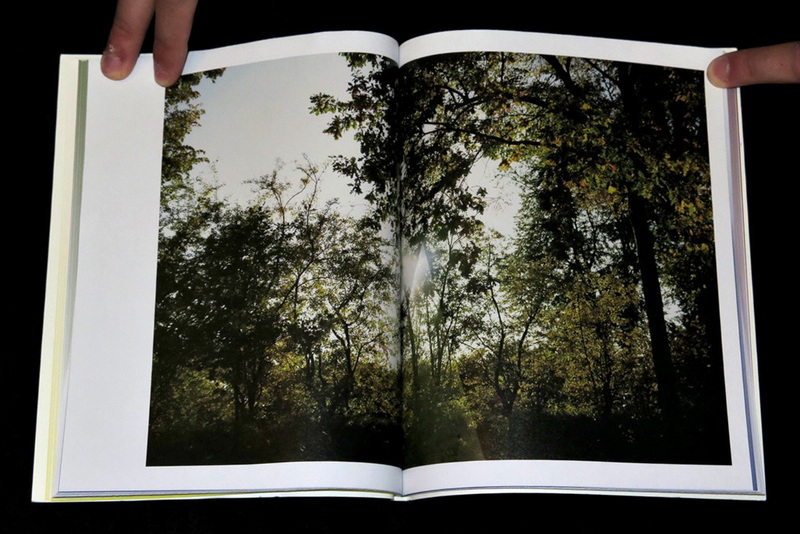 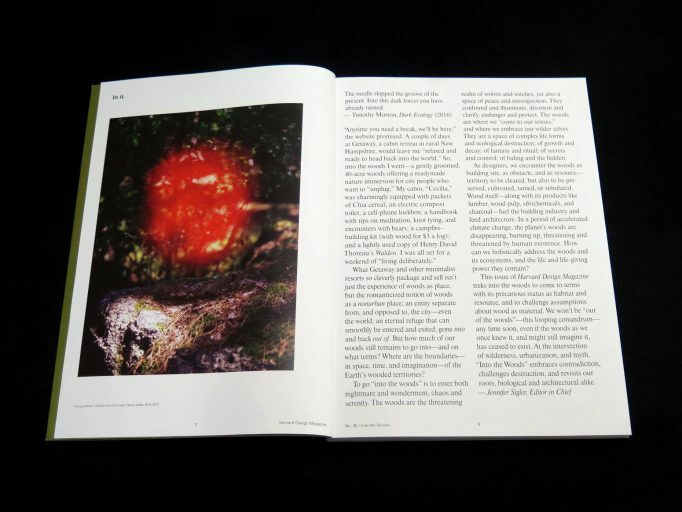 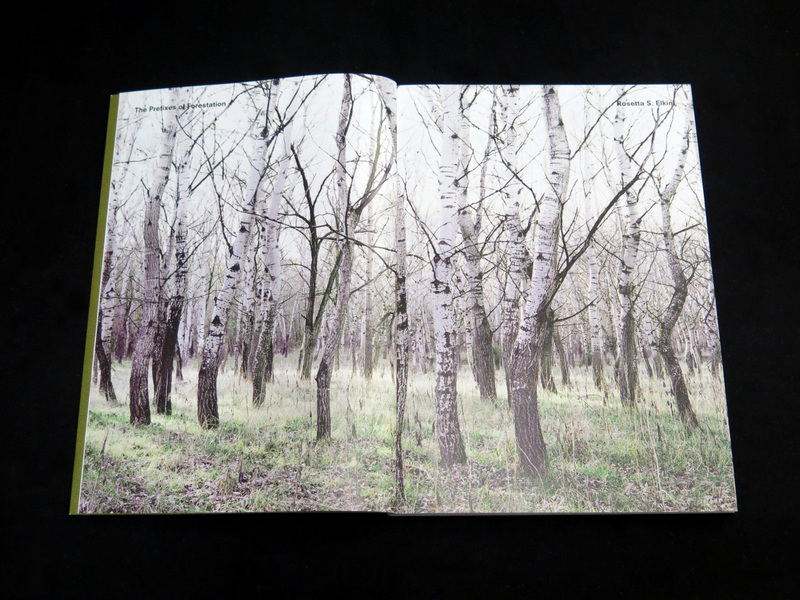 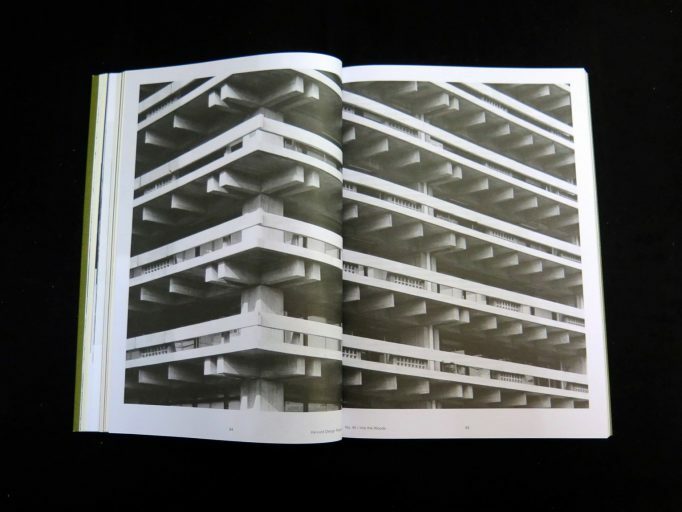 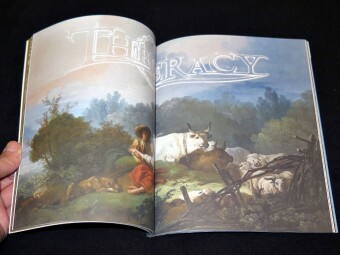 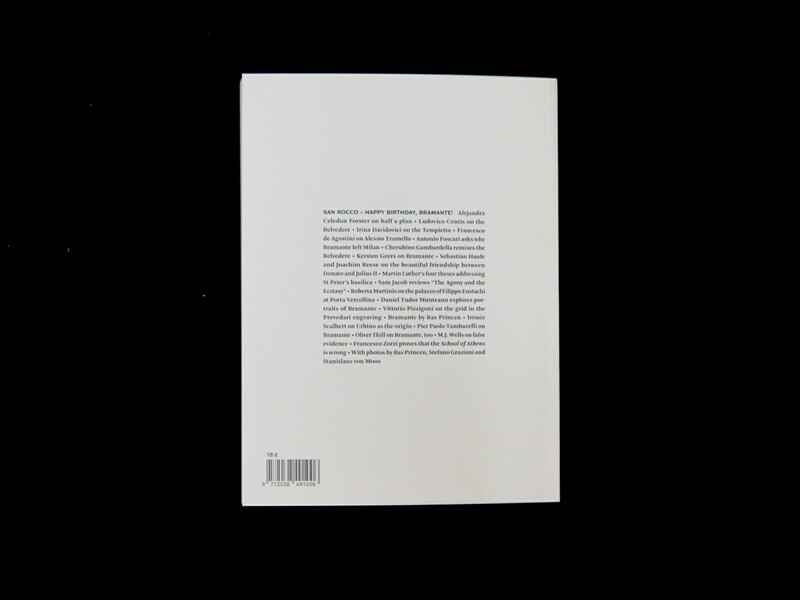 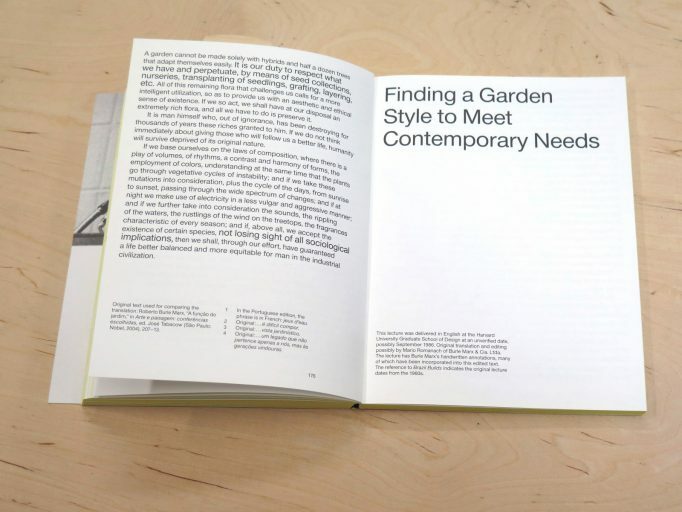 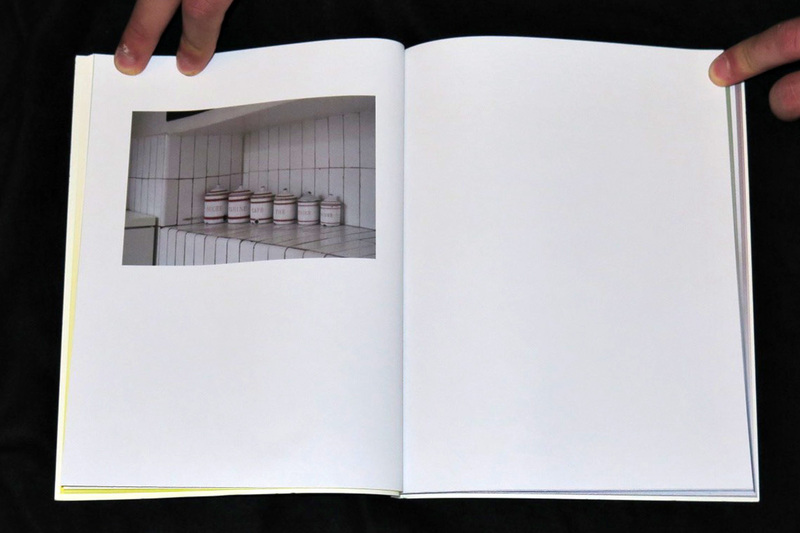 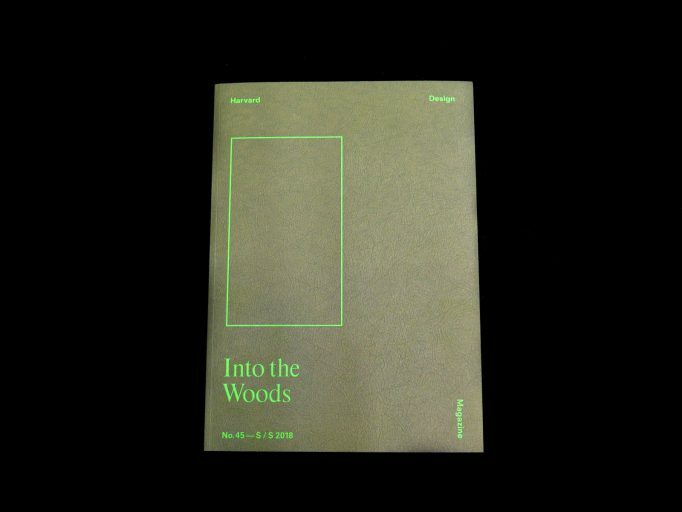 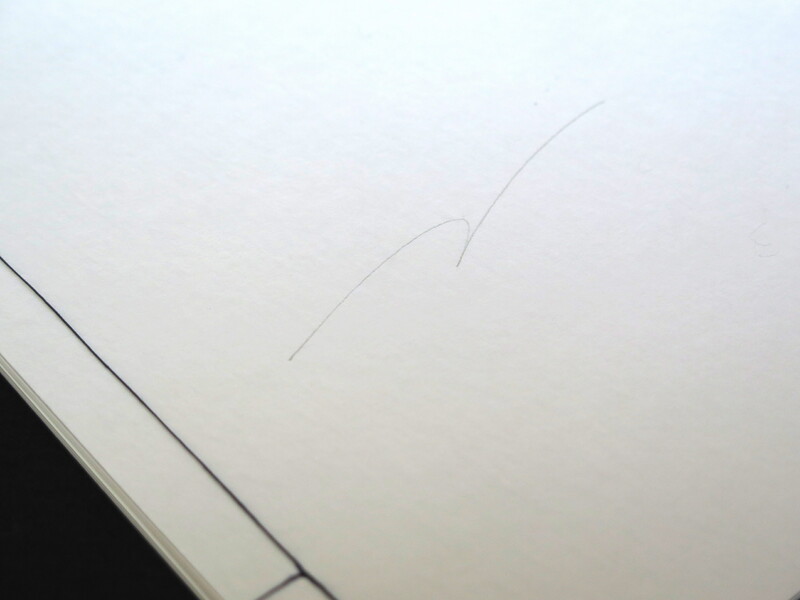 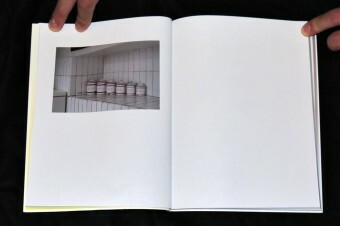 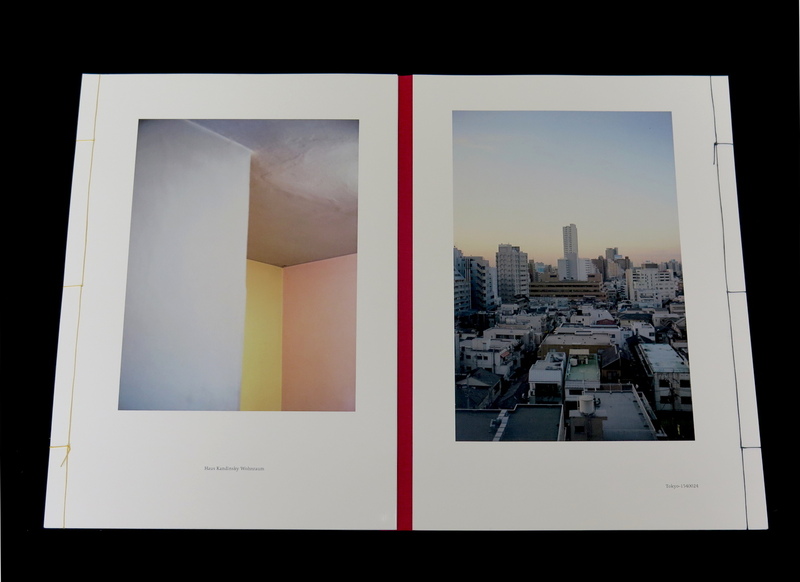 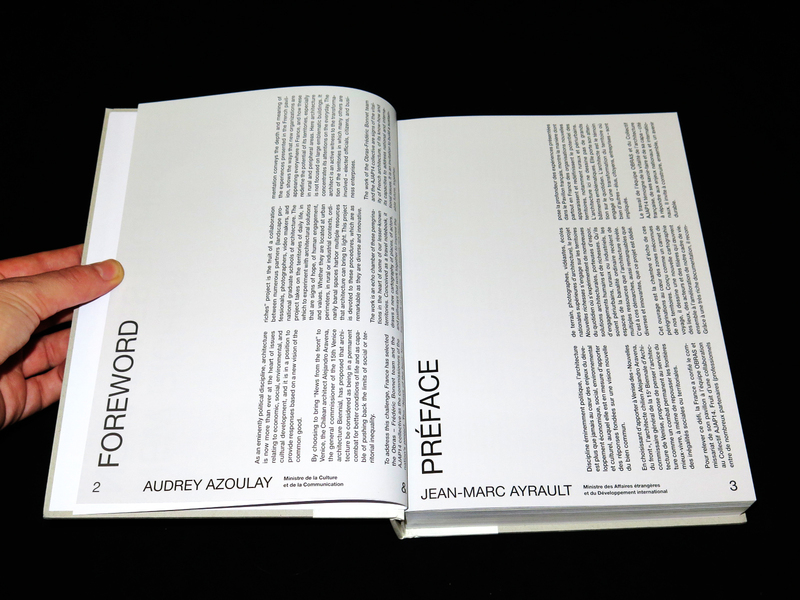 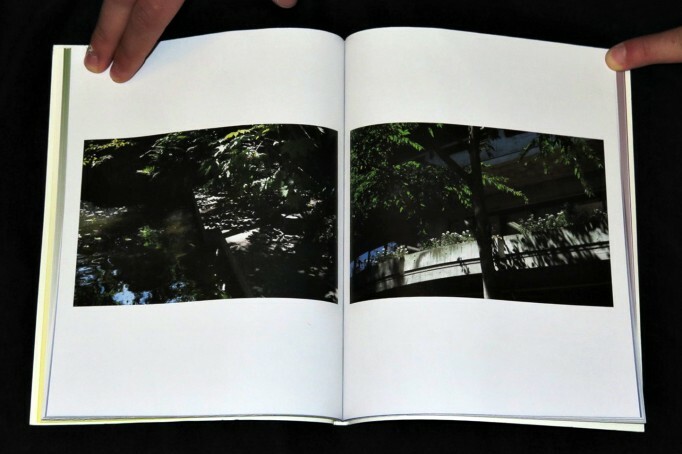 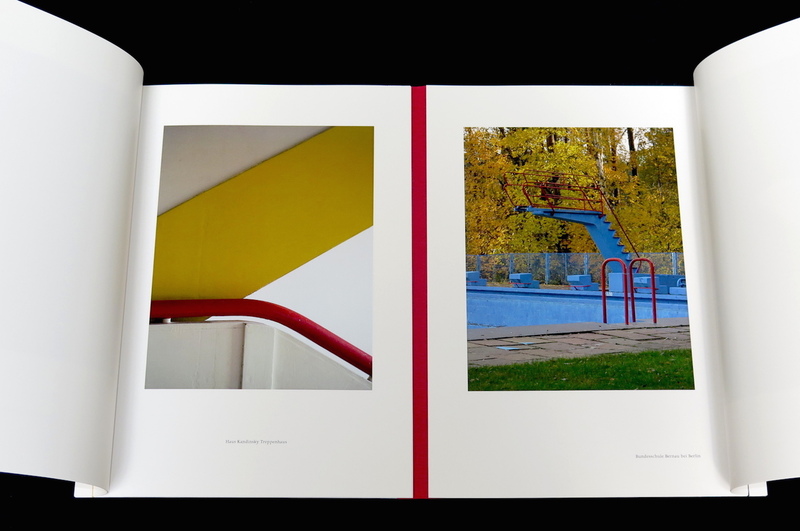 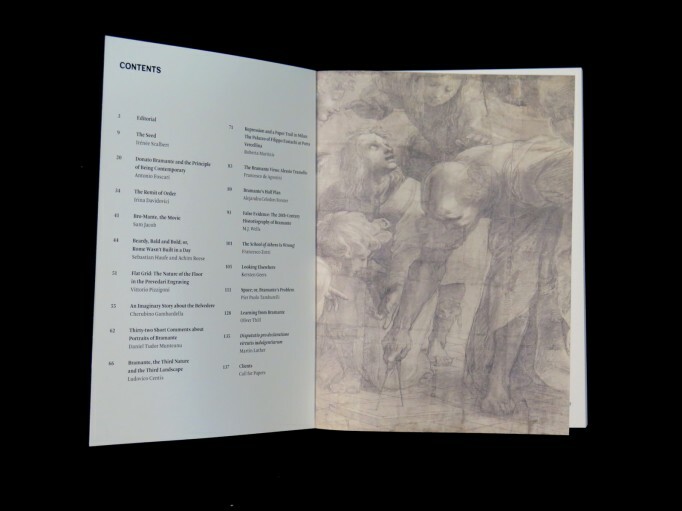 The publication includes texts by Thibaut de Ruyter, Yuzuru Tominaga, Tadamoto Oshima and Tamami Iinuma. 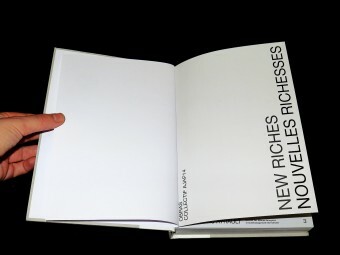 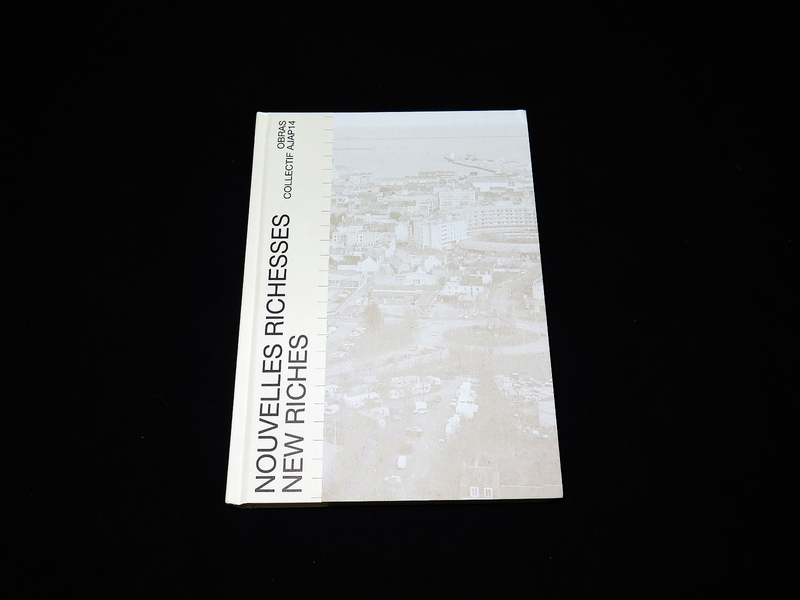 Nouvelles Richesses / New Riches. 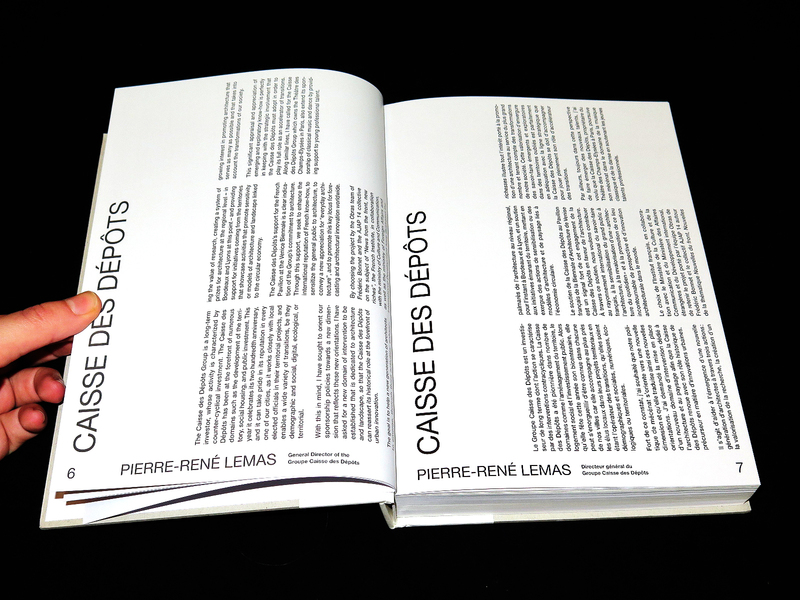 Fourre-Tout Editions. 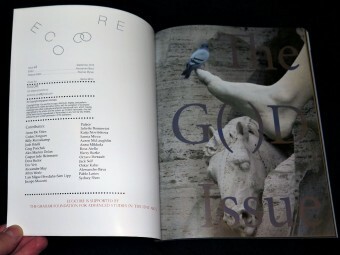 E-C-O-C-O-R-E is a bi-annual ecology xine. ECOCORE aims to explore the camouflaged souls of ecology. 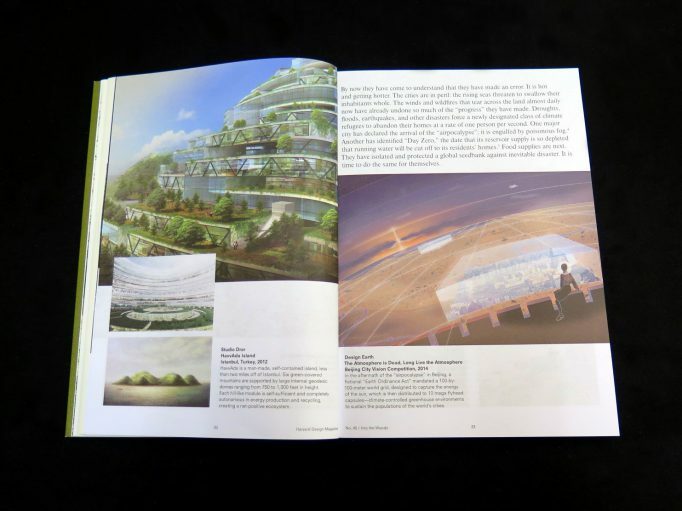 ECOCORE addresses the improper valuation given by hyper consumption to shared, finite, natural resources. Negative externalities born by public and subsidised lives are calling for a re-examination of the “good cause”. 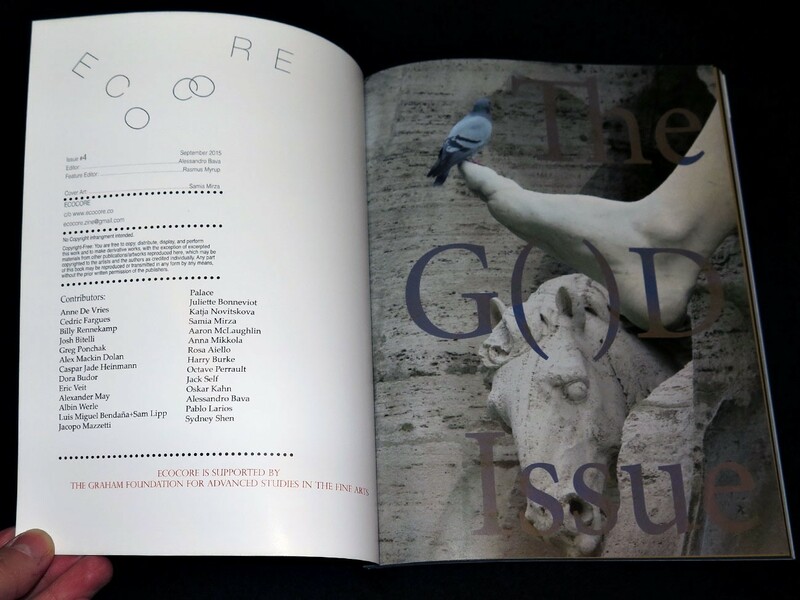 ECOCORE recognises that ecology’s identity has been repressed or relegated to area’s where it ought not to be. 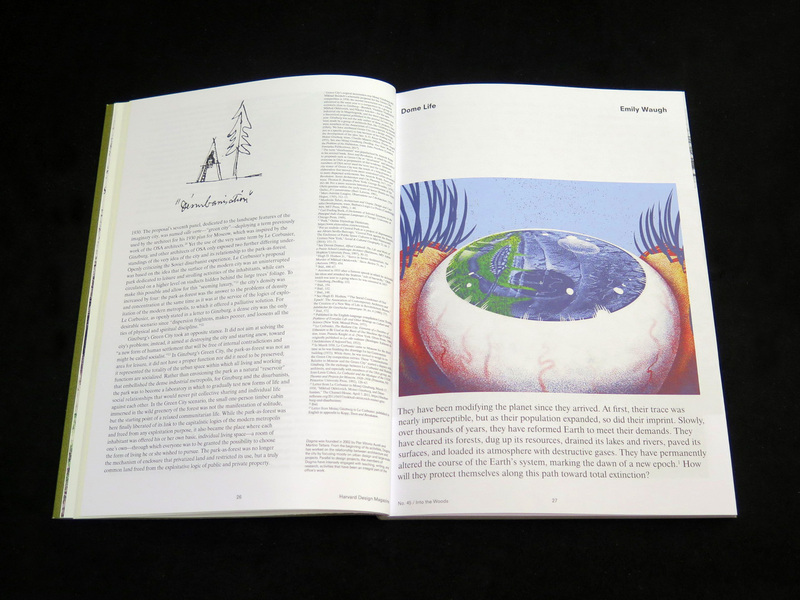 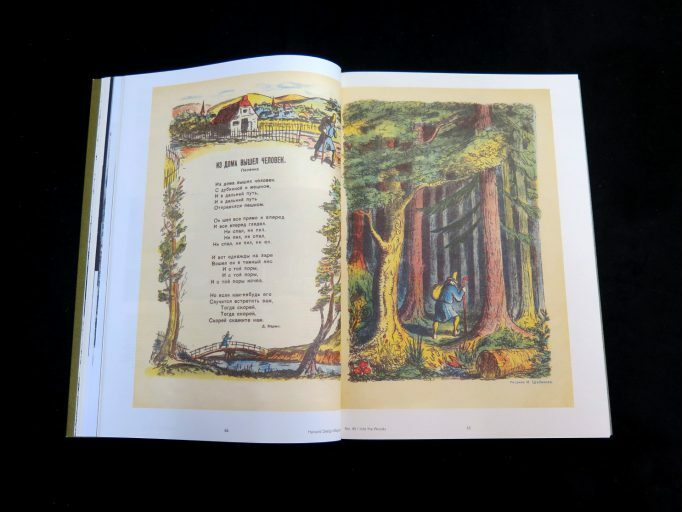 Relying on prettiness as a tool to convey its’ ideas, ECOCORE strives to furtively edit ecology’s muddled identity and environmental awareness. 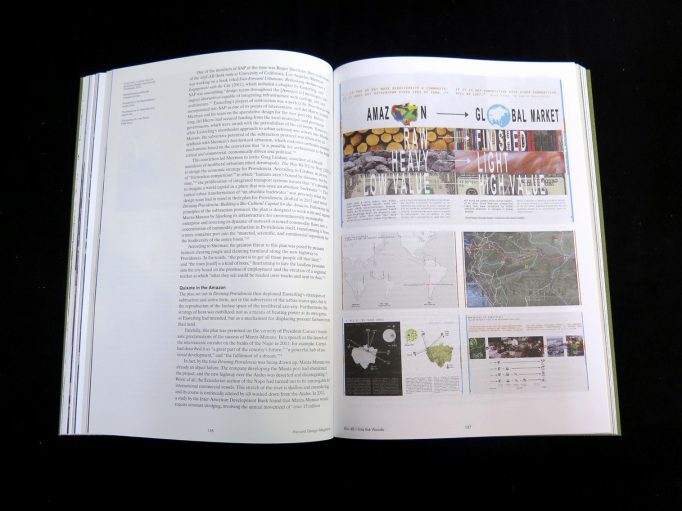 There are many new leading actors, decision makers, and partnerships that play increasingly important roles in what happens to the natural world. The proliferating complexity, immediacy, and ubiquity of environmental crises therefore demand novel and unusual human responses towards this new eco-governance. 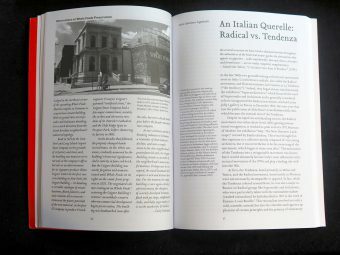 This fact alone would be a sufficient reason for this issue, but the additional fact that Bramante died 500 years ago merits its own celebration. 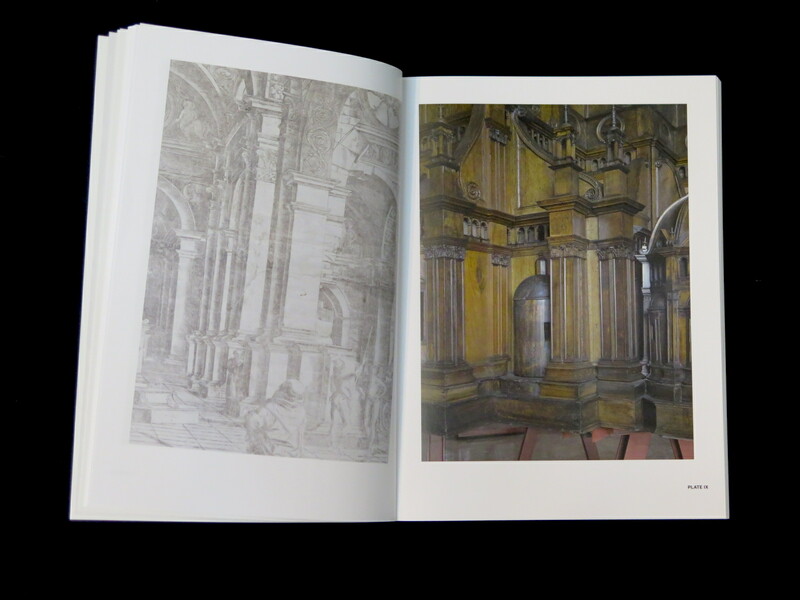 Most of all, now that globalization has come full circle and we live in an entirely unified market, we must address Bramante’s work as the foundation of universalism in Western architecture. 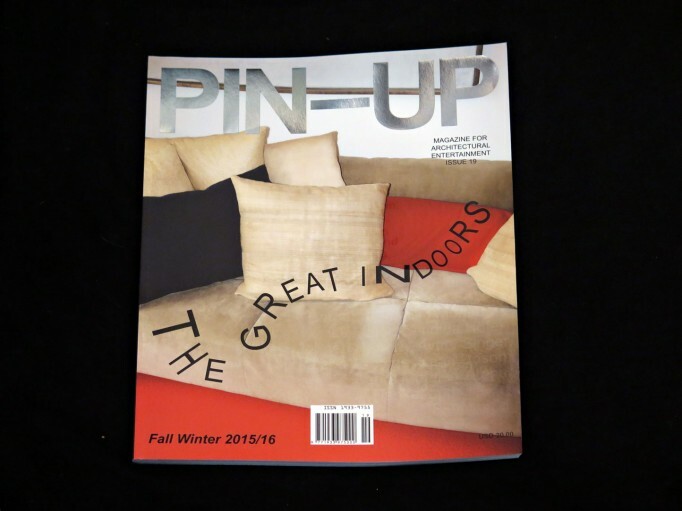 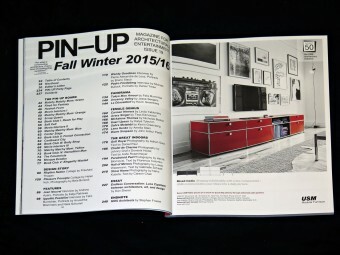 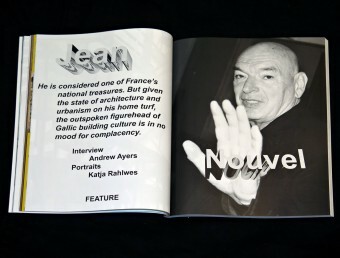 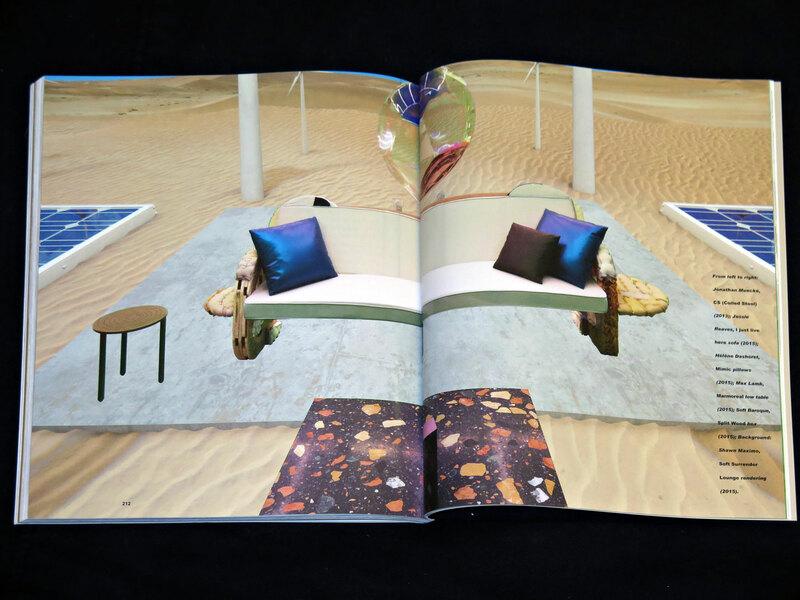 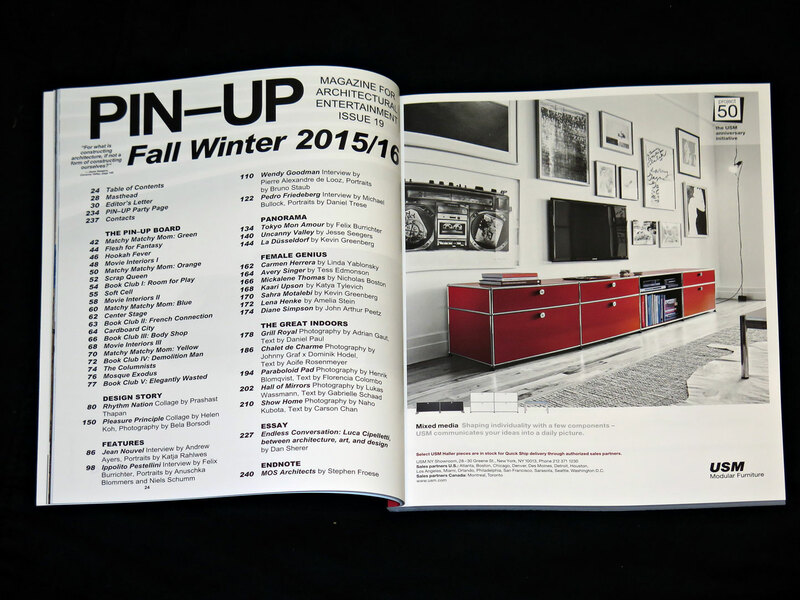 FEATURING Jean Nouvel, Ippolito Pestellini Laparelli, Wendy Goodman, Pedro Friedeberg, Trix and Robert Haussmann, Ugo Rondinone, Yrjö Kukkapuro, Luca Cipelletti, and Mos Architects. 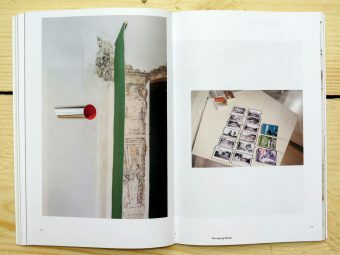 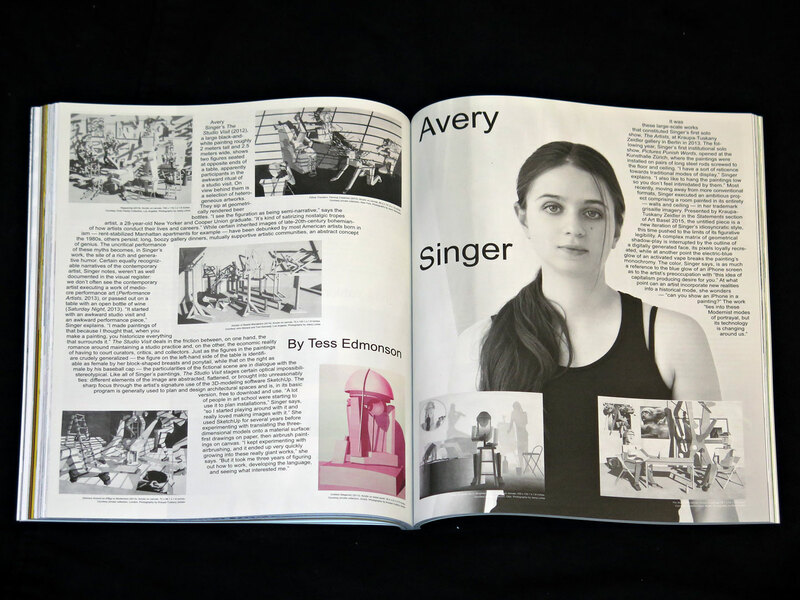 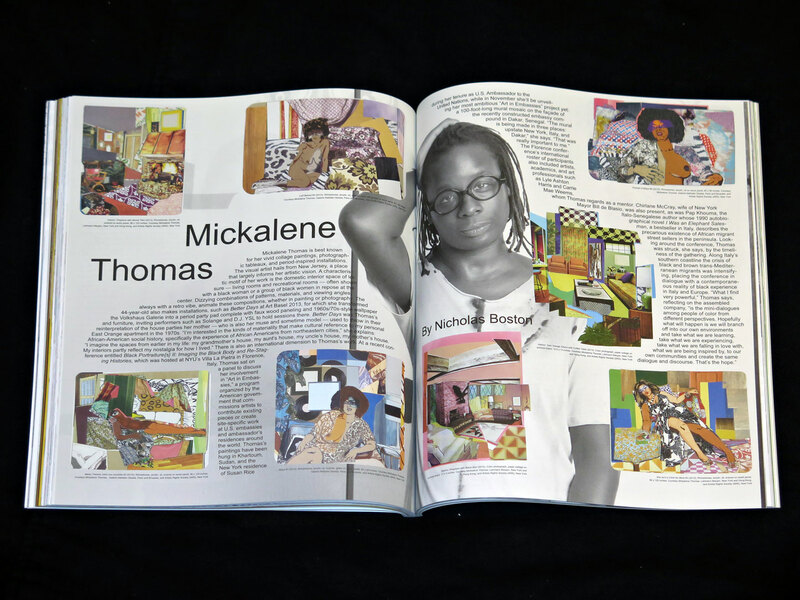 PLUS Jessi Reaves, Soft Baroque, Toshiko Mori and Tomas Maier, Candida Höfer, Carmen Herrera, Avery Singer, Mickalerie Thomas, Kaari Upson, Sahra Motalebi, Lena Henke, and Diane Simpson.